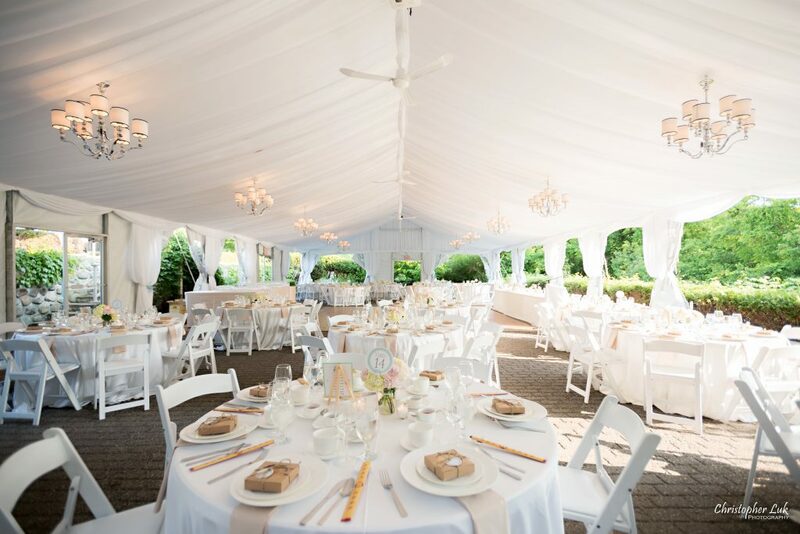 To accommodate large receptions during wedding season a 40’ X 80’ tent is erected on a solid surface patio surrounded by gardens and overlooking the Highland Creek. The tent is a clear span structure, which means there are no interior poles or unsightly exterior wire supports. It is fully equipped with lighting, ceiling fans, power outlets, and a dance floor. Customized clear walls of the tent enable you to enjoy the spectacular scenery even if the walls are closed. A small stone cottage at the end of the tented patio houses the washrooms. Your guests will enjoy free parking and all facilities are wheel chair accessible. We offer exclusive use of our venue to all clients and a bride's suite in the house is made available to the bridal party.